Taiwanese electronics manufacturer Acer has revealed its second NFC smartphone ahead of Mobile World Congress 2012. The Acer Liquid Glow’s external design features curves, chrome details and a soft-touch casing and is available in black, white, and a pastel pink. 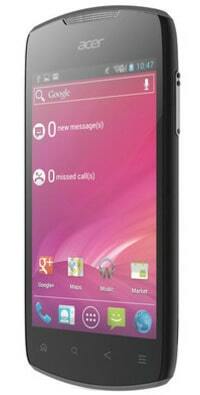 The device boasts a 3.7-inch screen, a 5-megapixel camera and runs Android 4.0. Users will be able to take advantage of Android Beam to share contacts, songs and pictures with other NFC smartphones. The Liquid Glow joins Acer’s first NFC handset, the Acer Liquid Express, which was unveiled in September 2011. The company stated late last year that all its future Android phones would come with NFC hardware. The Acer Liquid Glow will be available in early summer 2012.